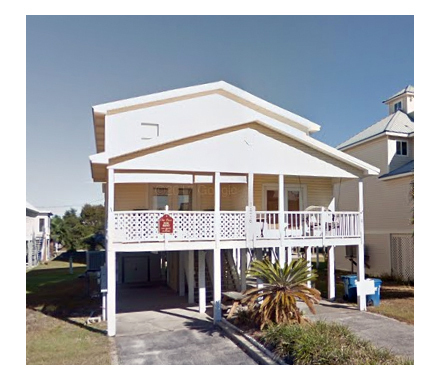 Lagoon View is a condo duplex approximately 2.5 miles west of Hwy 59 & Beach Blvd intersection. Located on West Beach, this property is close to many Gulf Shores restaurants, entertainment, and is a short drive to Gulf Place and Hangout. Each side of the duplex offers 3 bedroom and 3 baths and two balconies on the front and back of building. The building offers covered parking and ground level storage for beach chairs. Lagoon View is just a short walk to a public beach access across the street. Residents can launch their kayaks or boats for an evening boat ride or fishing trip on Little Lagoon at nearby boat ramps. Popular spots like Gulf Place and Hangout are just minutes away as well as local restaurants and bars. Please let us know if you would like further info for Lagoon View or any other Gulf Shores condos, homes, or real estate along the Gulf Coast or would like to schedule a private viewing by emailing info@condoinvestment.com or by calling (251) Area-Pro (251-273-2776) for immediate assistance.